American Environmental Landfill partners with renewable energy partner, Montauk Energy, to help a local elementary school with recent budget cuts. Together, these two companies gave a total of $37,500 to Anderson Elementary School. Anderson’s superintendent Brett Barker reached out to American Environmental Landfill’s, Todd Green, to look for a solution with funds for the school’s electricity. The giving doesn’t stop there, the companies have committed to a donation of $15,000 combined annually. With their efforts over the next 50 years, AEL and Montauk Energy will invest $750,000 into education at this local school. 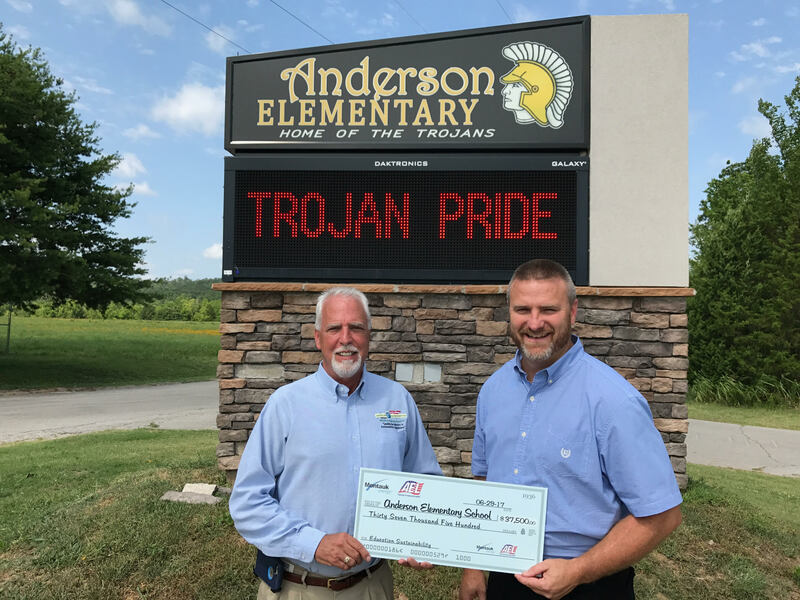 SAND SPRINGS, OK – June 26, 2017 – Anderson Elementary School is receiving an initial gift of $37,500 from American Environmental Landfill (AEL) and their renewable energy partner Montauk Energy and the money won’t stop there! Both companies have also committed a donation of $15,000 combined annually. As the power plant continues to capture methane for the next 50 plus years and convert it into electricity for thousands of Oklahomans, this sustainable partnership will be responsible for over $750,000 invested into education at this local elementary school less than a quarter mile from the landfill. As a neighbor to Anderson Public Schools, Todd Green, Vice President of Landfill Operations for American Environmental Landfill, has felt the need to help Anderson Schools through tasks ranging from the use of equipment to move playground pieces, remediating a 60 year old raw sewage lagoon and installing ½ mile of nature trails and an outdoor classroom, mowing and providing educational tours to students showcasing the waste-to-energy landfill and honey bee farm. And today – by helping keep the lights on! 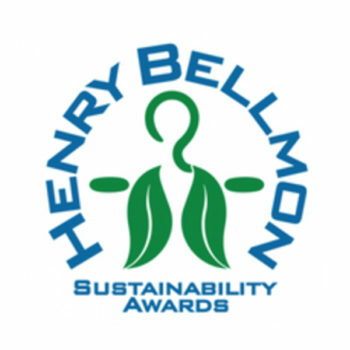 “Working with a partner like American Environmental Landfill, who is aligned with our goal of enjoying the benefits of a triple bottom line at each of our projects – people, planet, and profits – has been ideal for Montauk Energy. AEL has been a tremendous partner in facilitating the commercial operation of the first renewable energy project in Oklahoma fueled by landfill gas in 2013 that continues to provide green power to residents in Osage County,” said Montauk’s CEO Marty Ryan, Esq. Anderson Public Schools superintendent, Brett Banker, was thrilled to get this commitment from Todd Green at AEL and Montauk Energy as public education in Oklahoma relies on private parties such as these to help them meet nationwide education standards and reduce deficits as budget cuts continue. “The first thing we are going to do with this donation is to replace our 12-year-old reading/education material that will affect thousands of children over a six-year period,” said Banker. “American Environmental Landfill has been a phenomenal neighbor; Todd has been great to work with over the last several years. AEL has been making donations based off how much the school recycles using their Mr. Murph containers, brought equipment when they needed help putting in new playground pieces and even helps with mowing. Their partnership with the school has been tremendous,” continued Mr. Banker. 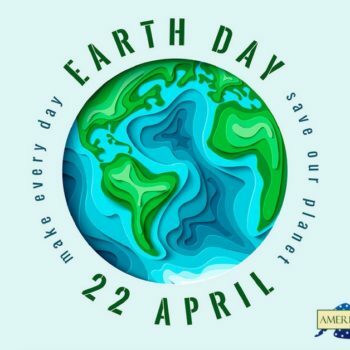 About American Environmental Landfill & Montauk Energy: American Environmental Landfill is owned by National Waste & Recycling Association Hall of Fame Inductee, Kenneth Burkett. They pride themselves on maintaining a high level of service while meeting and exceeding state and national environmental standards. AEL has been designated by the Solid Waste Association of North America (SWANA) as a leading landfill in the industry. Montauk Energy specializes in the development, ownership, and operation of landfill methane recovery and processing projects. They develop, own and operate large-scale renewable energy projects utilizing landfill methane. Montauk Energy operates as a subsidiary of Montauk Holdings Limited, a publicly-traded holding company listed on the Johannesburg Stock Exchange in South Africa (Share Code “MNK”).